Lake Associations are the heart of stewardship! Our watershed benefits from having over 40 within its boundaries, teeming with citizen scientists and lake lovers who are passionate about the health of the ecosystem – see if there is one near you! 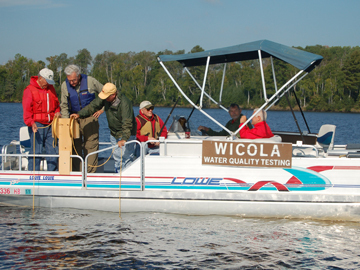 In August 2015, the first Binational Lake Association Network Event for this watershed was held in International Falls, MN, drawing association members together across the border. A second event is planned for September 11, 2018 – if interested, please contact Kelli Saunders at ksaunders@lowwsf.com. Read through the Full Report (2015_LAN_Full-Report) or the Summary of the 2013 event at LANSummary2015Final. Map Tour of Lake Associations.